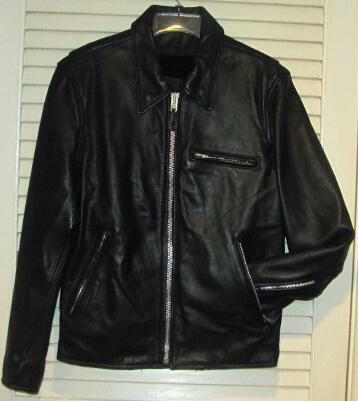 Vintage black leather motorcycle jacket Made in USA by Branded Garments Inc. 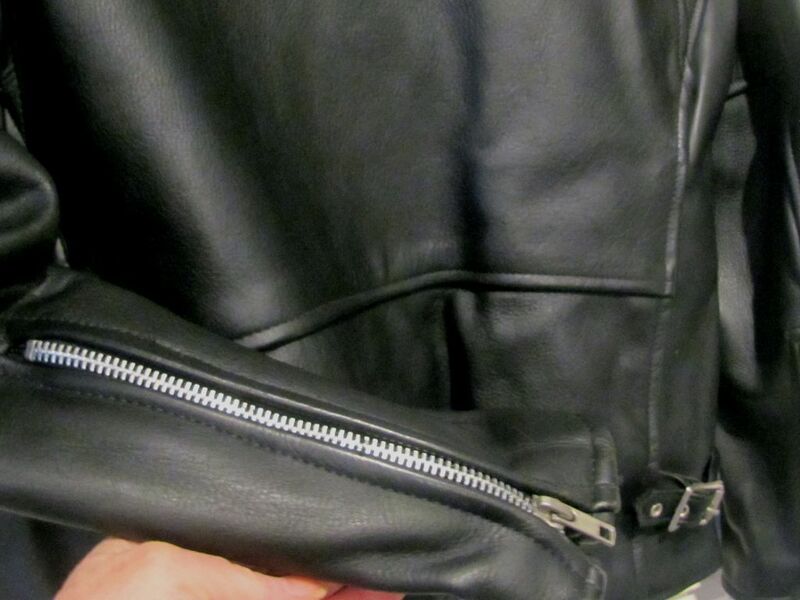 The jacket is a size 40, but, please note that I believe these jackets are meant to be purchased a size larger than what you normally wear because the fit is tight. 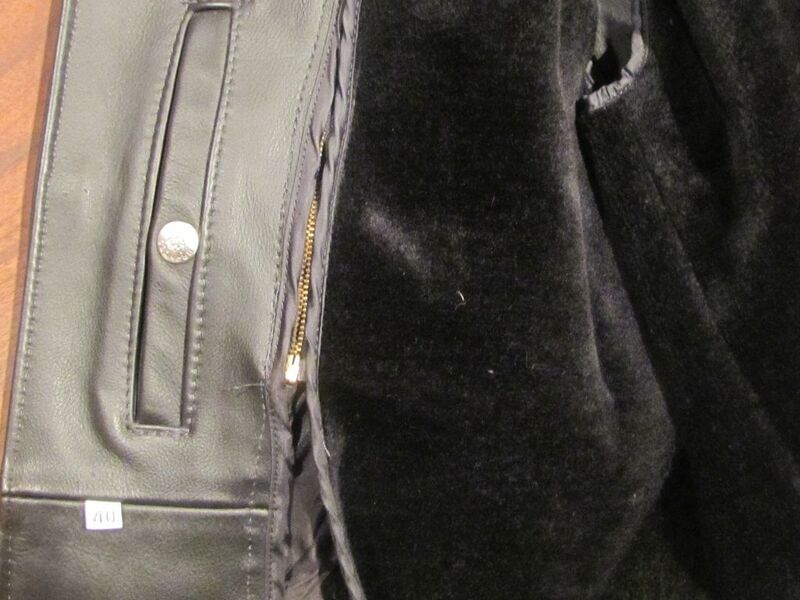 It does have the zippered, removable lining for warmth. 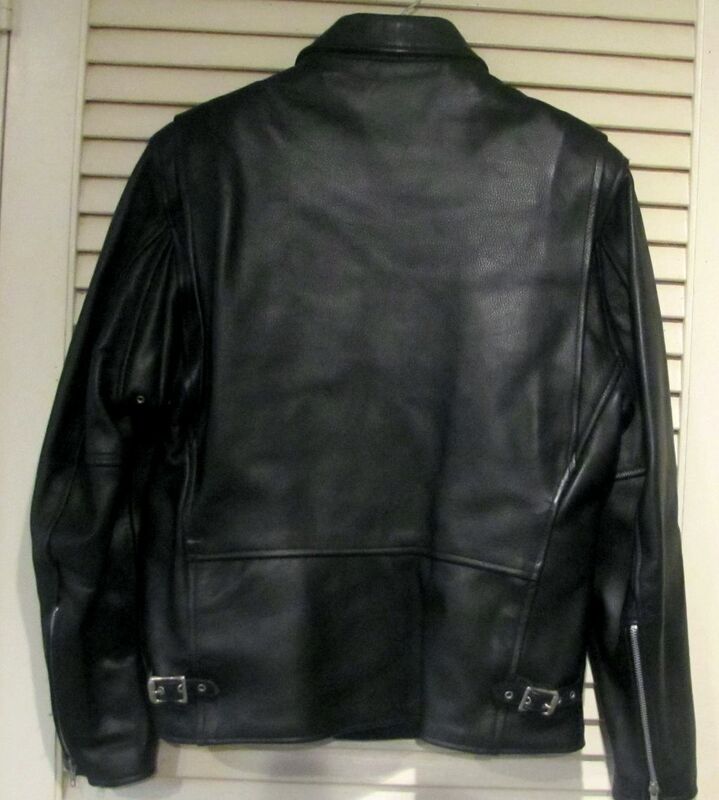 This jacket is very similar to the Schott Tracker 689H Horsehide jacket (which it could possibly be a vintage one) which you can view at the legendary USA site - priced at $699.00. It is very heavy and has the following features: Heavyweight leather 25/5" in length Two snap closure pockets inside One piece back panel with bi-swing back for freedom of movement Removable zippered lining Adjustable side belts with belt tabs Zippered sleeve cuffs Zippered left chest & hand warmer pockets with chain pulls Expandable under-arm area with two rivets Union made in USA. 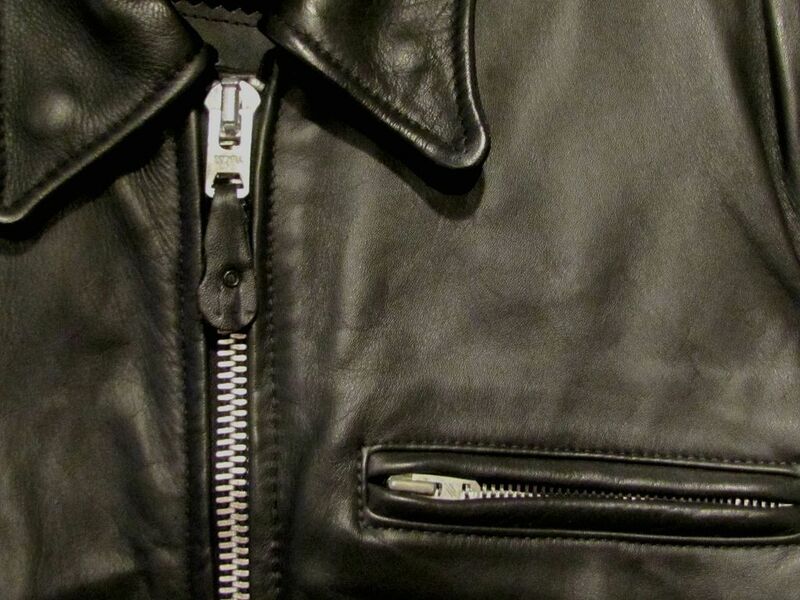 The front zipper is marked Skovill and the inside snaps are marked Branded Made in USA. 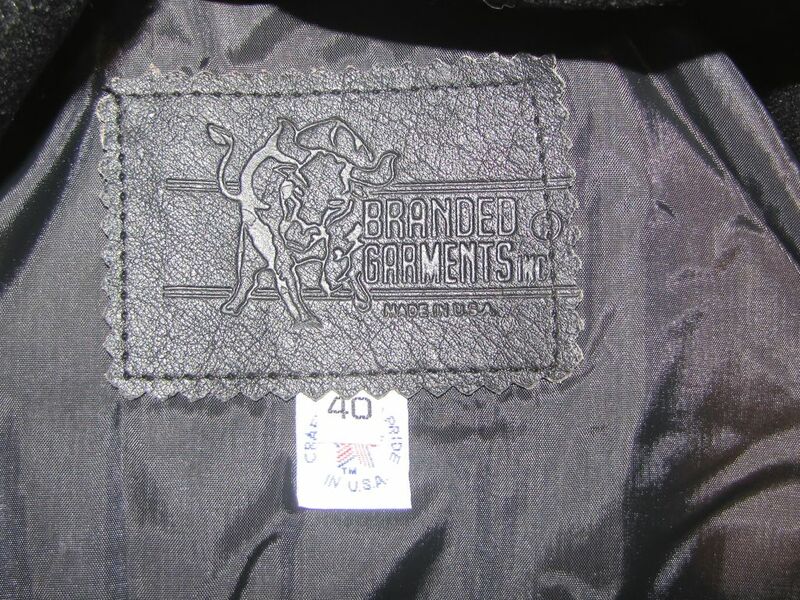 There is a Branded Garments Inc. label on both the inside of the jacket and on the removable lining, along with Made in USA tags. 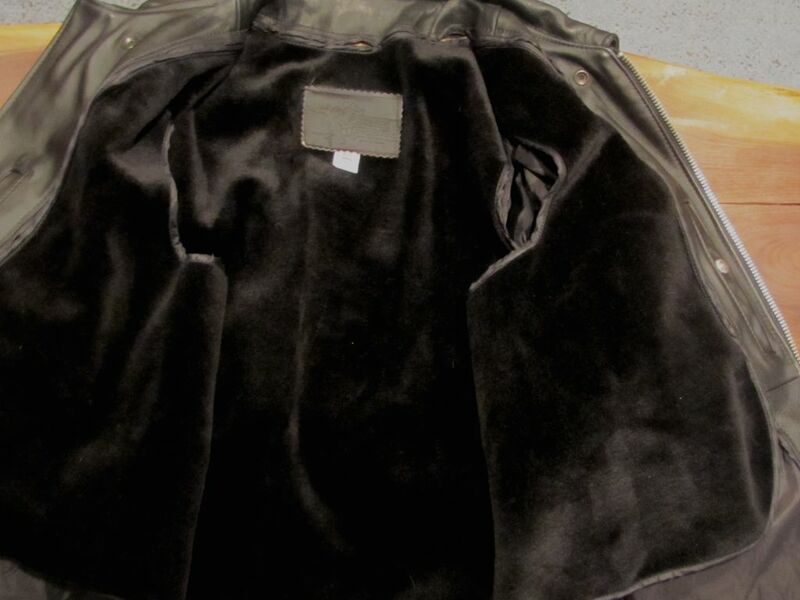 The jacket and lining are both in very good condition -no rips or tears.